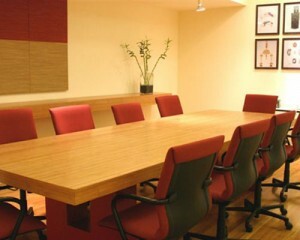 Office conference table is one of the most important furniture for an office. Moreover, a large office which frequently hold conference or other meetings, both meeting with a small number of participants and meetings with many participants. Conference table could also illustrate the success or failure of a office. Or become a symbol of prestige of an office. In the past, I often hold small meetings with clients. I also often hold large meetings with many participants for a particular topic. Of course, all meetings require office conference tables. Apparently, one problem that we face at that time is we have bought an item of furniture for the meeting, but the size is too small for all types of meetings held. At first, we had a meeting with company staff at the conference table. The longer the condition is perceived no longer sufficient. Especially when meeting, we also carry a lot of work paper. In fact, a meeting room is also not enough to add a chair for participant. This happens especially if we invite the support staff for the presentation or other activities, for example. Therefore, when you want to buy the office conference tables you need to consider the size of the table according to the needs of your company or office for the future. You need to consider the table that enough to accommodate many participants when the company has developed advanced. Many types of tables and designs you can choose from to suit your needs. If you want the office conference tables for 12 staff or more, you need to consider the advantages of using a boat-shaped conference table. With the curve on each side, all meeting participants have a good view at all events without having to crane forward. There is a cozy little table can be racetrack table form. This allows you to add an extra seat or two at the end of round. There is also a conference table type Bowtie. But I have found that the table of this type tend to cut people sitting along the edge when he spoke. If your office space is limited, you can choose an office desk that can be folded. After the meeting finished, the furniture can be folded for storage of other goods. Cafeteria or gymnasium space can provide a folding conference table so that it can also be used for company staff meeting. Folding conference table allows every room in a multifunctional company goals. I admit, folding and storing tables and chairs after the meeting finished can be a nuisance. We feel the need to assign specific staff members before the meeting or a special person for this task. But clearly, a folding table is very profitable if you do not have a permanent meeting space. If your office space is vast, of course you need a large conference table that can accommodate many of the staff or the participants of the meeting. You can choose a round table conference for dozens of people. But for a small round conference table can look great, use a small room and perfect for 4 to 6 people. If you often entertain clients at the office, you can provide a table that looked good quality and reflect that your company is a successful one. Appearance is also very important table, causing a positive impression and good in the eyes of the guests. It’s different if your guests put on the table and chairs are cheap. What comes to mind they are a bad impression. But if you buy a table for various purposes, you can choose table has seen some vinyl or polyurethane finish. Office conference tables are nice, shiny and spacious course must be equipped with seats that can support the appearance of meeting a comfortable atmosphere. You may end up sitting at a desk for long sessions, so find a style that looks good, but you remain productive and continue to penetrate the future progress. Great blog.This gave very good information regarding office chairs and furniture.This easily rectified my doubts. I am very happy to see this blog again.This helps me lot.This helps to get information on office furniture also.Thank you.